Directed by Andrew Kidman. Australia. 1995. 56 min. 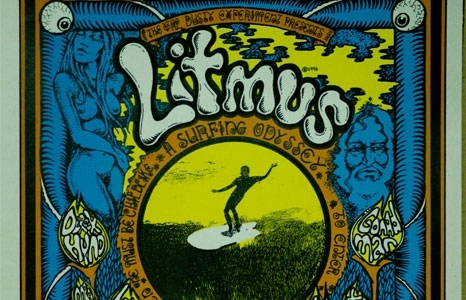 When Litmus first came out in the 1995, the film was panned in Australia. Today it’s viewed as a big influence on surf filmmaking. In a time when surfing was at the peak period of conservatism and everyone was riding potato chip boards, Andrew Kidman and Jon Frank wanted something different. The duo purchased around-the-world tickets and set off to make a film like no other. Starring Wayne Lynch, Derek Hynd, and Tom Curren and featuring an animation by Mark Sutherland, this film opened up a new way of viewing surf filmmaking and continues to resonate with surfers today. Don’t miss this special one-time screening of a film that defined a decade.